"The results speak for themselves: the platters from QRP are in my experience the most consistently flat and quiet being pressed today ... at least for the foreseeable here and now, Analogue Productions' newly mastered 45 RPM (Brubeck) is the edition to own. You'll hear it right from the familiar piano intro to "Blue Rondo a la Turk," where Brubeck's playing seems richer, more lyrical, more rhythmically alive. It seems to me that as our gear gets ever more quiet, these QRP LPs continue to wring more musical nuance from the finest recordings." — Music = 5/5; Sound = 5/5 — Wayne Garcia, The Absolute Sound, January 2013. 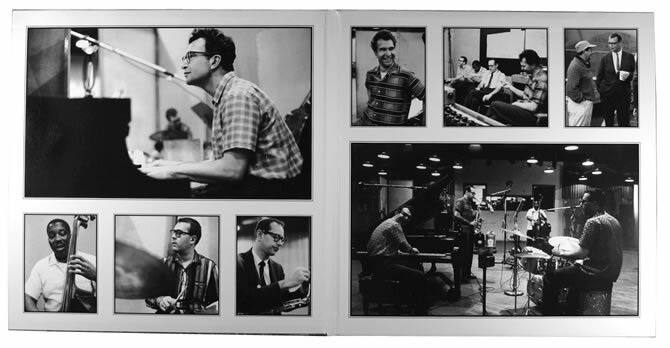 Virtually all serious and even casual music lovers ought to be familiar with, or at least are likely to have heard The Dave Brubeck Quartet, even without realizing it — for the quartet's best-known hit "Take Five" has graced the soundtracks of multiple films, including "Mighty Aphrodite," "Pleasantville" and "Constantine." The piece is famous for its distinctive, catchy saxophone melody, as well as its use of unusual 5/4 time — so distinctive, it's a rare jazz track that became a pop hit. Including the monster hit "Take Five," the Brubeck Quartet's Time Out is a jazz and audiophile classic. Every album collection needs a copy. And now, cut at 33 1/3 RPM on 200-gram premium vinyl, pressed at Quality Record Pressings (Acoustic Sounds' own industry-lauded LP manufacturer), Analogue Productions brings you Time Out renewed. Like its 45 RPM sibling, Time Out is presented here packaged in a deluxe gatefold jacket. Inside are eight fantastic black and white images shot during the recording session at Columbia's famous 30th Street Studios. Sony Music supplied the images for use in our SACD reissue, and gave us persmission to use them in our LP reissue as well. The jacket is also special — very heavy-duty. It's produced for us by Stoughton Printing featuring a printed wrap mounted to a heavyweight chipboard shell, producing an authentic "old school" look and feel. This jacket is a beauty! Never has Time Out's colorful iconic cover art looked so vibrant. 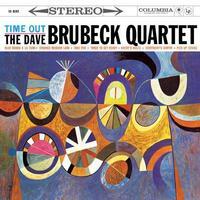 The record label's sales executives didn't want a painting on the cover when Time Out debuted in 1959 on Columbia Records, Brubeck told an interviewer. An entire album of originals? That wouldn't work either, he was told. Some standards and some show tunes were needed in the mix. Fortunately, Brubeck ignored the conventional wisdom and Time Out became the original classic we know it as today. Brubeck became proof that creative jazz and popular success can go together. The album was intended as an experiment using musical styles Brubeck discovered abroad while on a United States Department of State-sponsored tour of Eurasia. In Turkey, he observed a group of street musicians performing a traditional Turkish folk song that was played in 9/8 time, a rare meter for Western music. Paul Desmond, who was Brubeck's alto saxophonist, wrote "Take Five," at Brubeck's urging to try and write a song in quintuple (5/4) time. "I told Paul to put a melody over (drummer) Joe Morello's beat," Brubeck explained. As a jazz pianist, Brubeck became a household name in jazz in part due to Time Out's success. Demond's cool-toned alto and quick wit fit in well with Brubeck's often heavy chording and experimental playing. Morello and bassist Gene Wright completed the group. The Quartet traveled and performed constantly around the world until breaking up in 1967 to pursue other musical ventures. Time Out peaked at No. 2 on the Billboard pop albums chart and was certified platinum by the Recording Industry Association of America. "Take Five" became a mainstream hit, reaching No. 25 on the Billboard Hot 100, and No. 5 on Billboard's Easy Listening survey, the precursor to today's Adult Contemporary charts. The song was included in countless movies and television soundtracks and still receives significant radio play. Friends, I have a Columbia pressing from I bought in 1978. It has been well-maintained, but I bought the new pressing from QRP. I definitely hear a difference. My original LP was mass-produced by Columbia during the peak of LPs, and it was common practice to recycle vinyl in large amounts. QRP uses very-limited vinyl recycling, and they don’t press new LPs at the same volumes that Columbia would have done in the day. I also think that QRP takes greater care in their limited mastering pressings. I highly recommend QRP’s pressing of Dave Brubeck’s “Take Five” LP. A nice replacement for my previously owned Classic Records 180 gram reissue. Nicely mastered, pressed, and heavy-duty gate fold jacket. I couldn't ask for more!